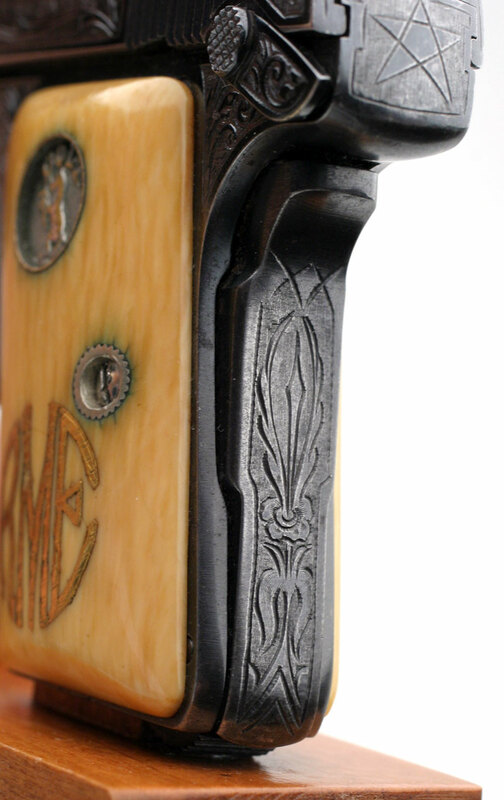 Blue Finish, Gold Inlaid Monogrammed Ivory Stocks "R.E.M." 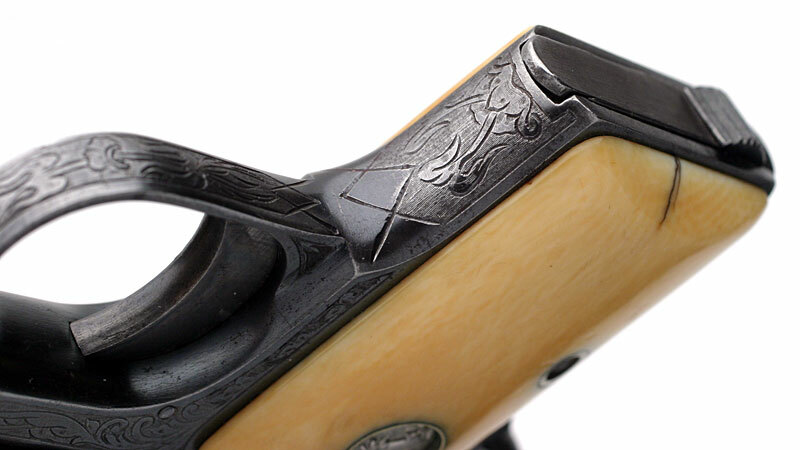 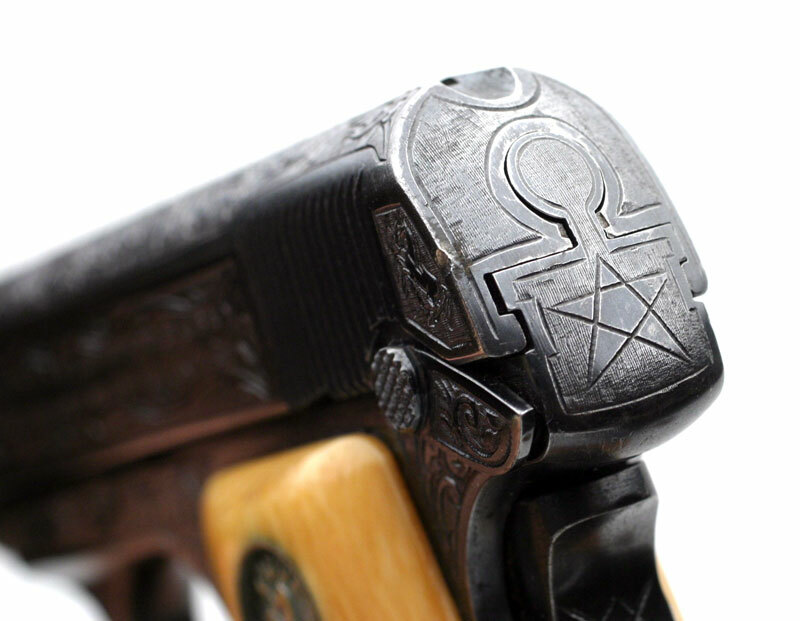 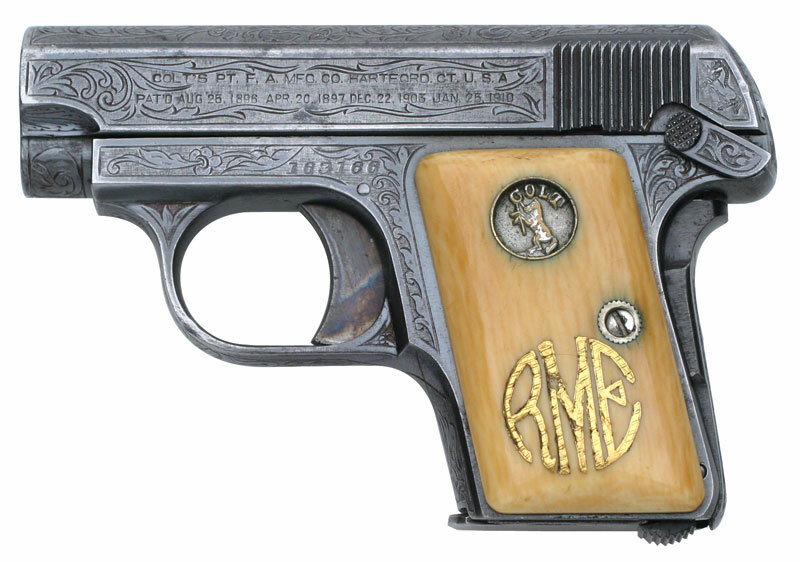 Colt 1908 Vest Pocket .25 ACP Serial Number 163166 Factory Master Engraved by William H. Gough Blue Finish, Gold Inlaid Monogrammed Ivory Stocks - The records indicate this pistol was shipped out as a .25/c, 2", in the Green state for engraving. 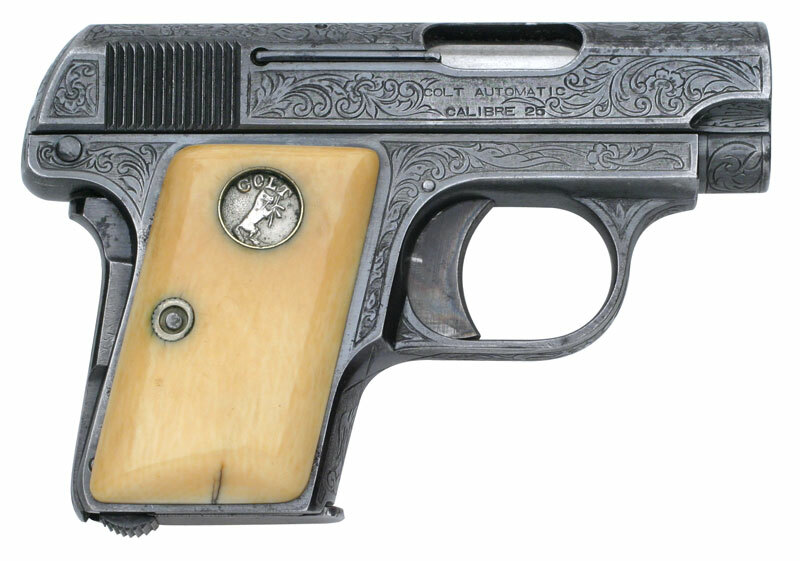 It was shipped to A.H. Fox Gun Co. in Philadelphia, PA for William H. Gough on April 20, 1917, a shipment of 1 gun.